From Italy, the Lay Llamas are led by Nicola Giunta with what is apparently a fluid lineup of musicians. Their debut album, Ostro, was released last year on Rocket Recordings, though this live document of a performance at London’s Roundhouse in 2014 is my introduction to the band. The promo sheet describes the band as “afro-funk psychonauts” and I’d say that’s pretty accurate. Overmind / Beyond The Time And The Space opens and is a 9+ minute spacey proggy introductory piece with flowing and cascading synths, flute, light guitar and slowly steady drumming. Then the music takes an aggressive turn with the angst ridden, acid rocking Archaic Revival, which sounds like Black Sun Ensemble meets 80s Post-Punk at a Psychedelic Black Mass dance party. It starts off somewhat Eastern flavored but soon develops a cool groove, and I really dig the chunky funky and blazing acid-wah’d guitar and screaming synth lines. Spiritual Expedition / Something Wrong is a tribal yet flowing Space-Trance meditation. Soon an ominous guitar starts to jam, alternating between lightly melodic and caustically acidic, along with mesmerizing alien synth lines and breathy vocal blasts. It’s only in the last couple minutes that it breaks into song, being a cool Space-Funk groove tune. The Space-Funk continues on We Are You, which once again includes elements of Black Sun Ensemble guitar and 80s Post-Punk, and I like the blend of rug cutting dance floor song and Psychedelic tribalism. The live show being over, the album concludes with the 18 minute The Place Where We Come From Is The Place Where We’re Going To, which is described as a “prismatic remix” by Luca Giovanardi of the band Julie’s Haircut (who I recently heard doing a nifty cover of Miles Davis’ Shhh/Peaceful on the Fruits de Mer Records Side Effects box set). It’s a hypnotic spaced out jam and surreal sound collage pastiche that’s a giant mish-mash stew of funk and tribal grooves, freaked out left-right channel remix fun, seizure inducing throb patterns, and creatively stitched together elements of everything that’s come before. 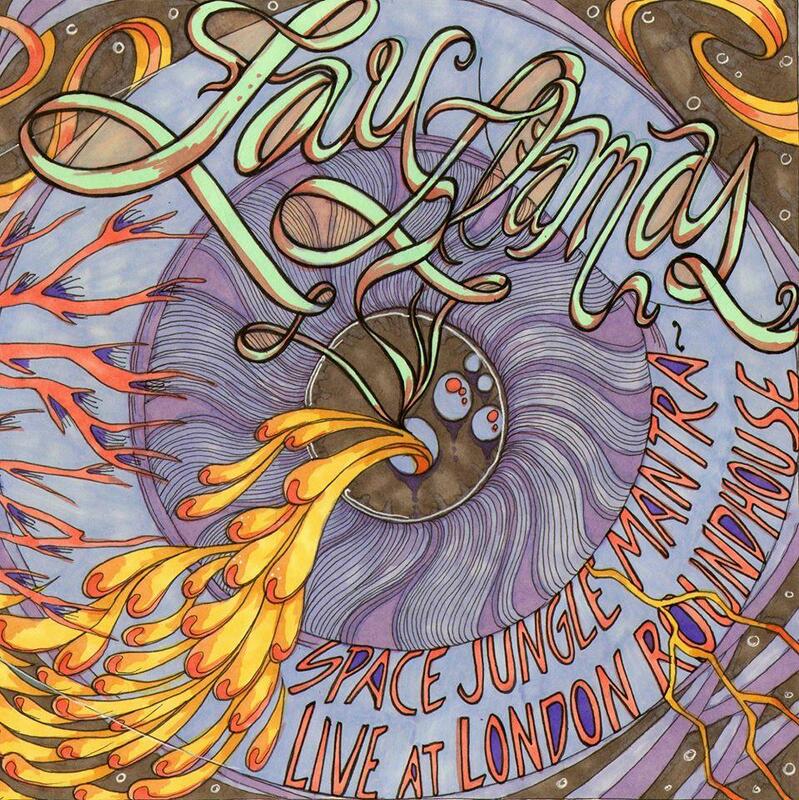 In summary, the Lay Llamas play a pretty cool blend of Space-Funk and Psychedelic tribalism with elements of 80s Post-Punk. Being on the Rocket label I’d say these guys would make a cool live tour pairing with Goat. I’ll have to check out their Ostro album.